This program given by the Existential-Humanistic Institute (EHI) will provide presentations and workshops that focus on inner growth and wisdom that accumulates throughout life and can be tapped into regardless of actual age. Inner elderhood is an ongoing process and these presentations will highlight how our inner world can continue to meet the outer world in a fruitful way. The Existential-Humanistic Institute offers Certificate Programs in E-H Therapy. 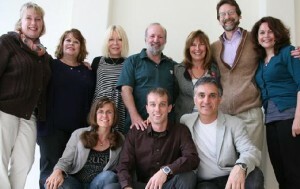 (Go to EHInstitute.org, click on Certificate Programs for more detailed information). The workshops designated EHI-Certificate will offer training in E-H Therapy and are intended to provide those students enrolled in the EHI Certificate Program with additional training. These workshops are also open to all therapists and therapists-in-training wanting experiential workshops in E-H Therapy. All the EHI- EHI-Certificate Track trainings are taught by senior core faculty of EHI, and will offer CE credits. The Certificate Track Training is open to all conference attendees and is labeled “EHI-Certificate” on designated workshops below. Bill Ryan, Legacy: What Do I Want to Pass on to the Next Generation? © Poetics of Aging. All rights reserved.